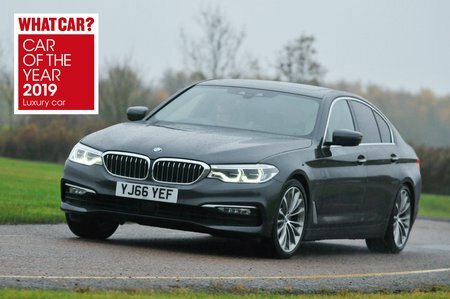 BMW 5 Series 530e M Sport 4dr Auto 2019 Review | What Car? What Car? will save you at least £5,552, but our approved dealers could save you even more. A four-cylinder petrol engine and electric motor combined, but the 530e can be driven for up to 29 miles on electricity alone. This silent progress befits the 5’s luxury remit very well, but the little petrol engine can struggle when all the charge is gone. However, with emissions of just 46g/km of CO2, it’s a company driver’s dream.